When deciding upon recipes for Cooking Gluten Free! I wanted to include a few traditional birthday cakes. My mom would make us a lemon cake or an apple cake or a chocolate cake for our birthdays as those were our usual requests. Later on when I met my husband I was introduced to a Sandtorte which was his families’ favorite birthday cake–it is essentially a pound cake. Later on, his sister began making a cashew cake that was requested a lot (when we were stay at home moms with kids and had the time to make that decadent cake) with three layers (two chocolate, one cashew) and a lovely buttercream frosting. The cake stands about five or six inches tall and is the true definition of the word decadent. Now I am getting a craving for that cake! Check this out as I have penned down the entire recipe for this cake and attached pictures to make your baking experience easier and great. introducing new versions of the tastes in cakes have been lately very common and heartwarming.try out baking and then I am sure you will fall in love with it. 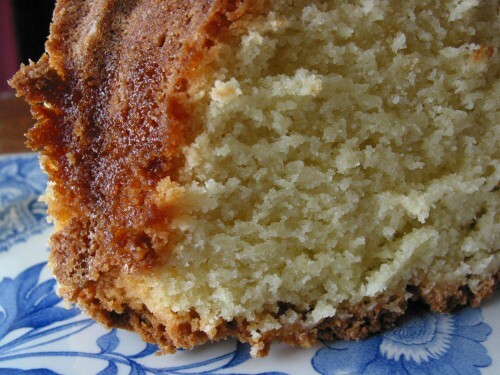 All of those cake recipes are in the book except the apple cake, I was never able to convert that incredibly dense cake to a suitable GF version. But the Sandtorte is easy and everyone’s favorite. Ever since Kate Chan, our Gluten Free Ratio Rally organizer this month, suggested a white cake recipe, she started a craving in me. I have been looking forward to baking my yellow cake with chocolate frosting so that I can photograph it, figure the ratios, and best of all ……eat it. Unfortunately, life got in the way this month so it is the Sandtorte that is featured after all. It is especially timely since it is perfect for a sweet version of strawberry shortcake. Ruhlmans’ sponge cake ratio is where we started which is 1:1:1:1 of flour:sugar:eggs:butter for our white cake Gluten Free Ratio Rally. A sponge cake is on the complete opposite end of the spectrum to my pound cake which ended up being something like a 2 : 2.5 : 1 : 1 ratio. I am sure that Kate’s vision was a regular white cake which should fall somewhere in between. I have to say that for this rally I did not test other options as we have made this recipe for years and the only real discovery is in doubling the baking powder from the original wheat based recipe. It makes a huge difference in a dense cake to double the baking powder when converting to gluten free. We also don’t mess around with the healthier flours with light colored cakes. Using my standard Multi Blend mix makes the best cake . And reallly with this much sugar who are we kidding anyway, cake isn’t supposed to be healthy!